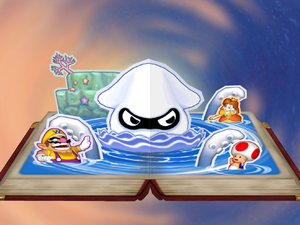 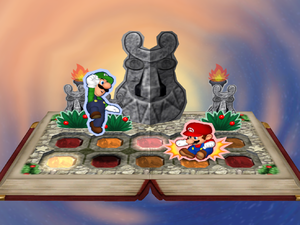 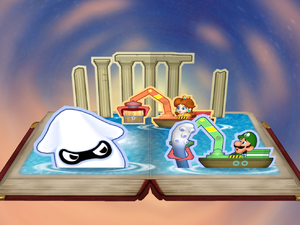 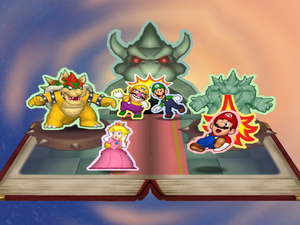 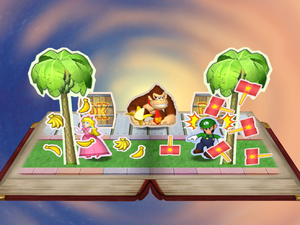 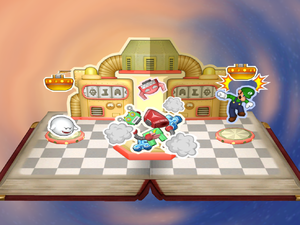 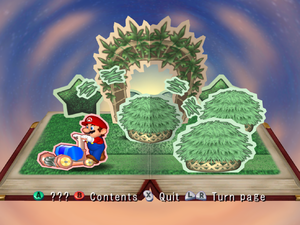 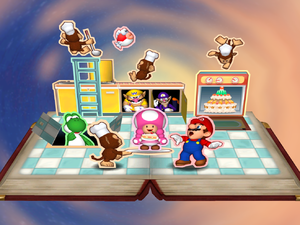 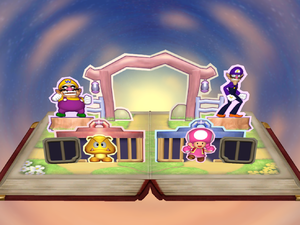 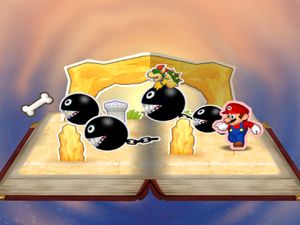 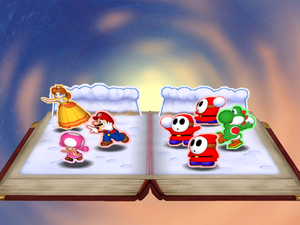 The Miracle Book is a twenty-page pop-up book from Mario Party 6. 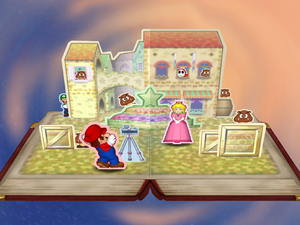 The book itself costs ten stars, but the prices of individual pages vary from twenty to forty stars. 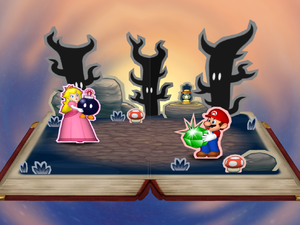 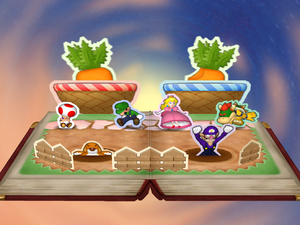 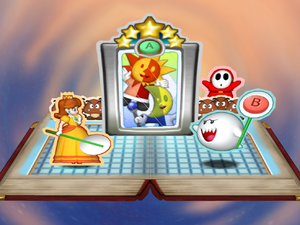 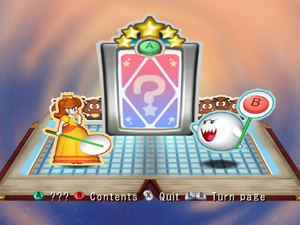 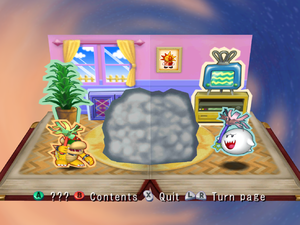 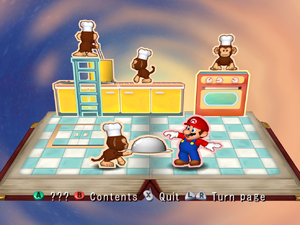 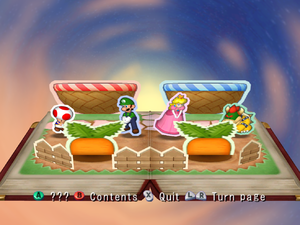 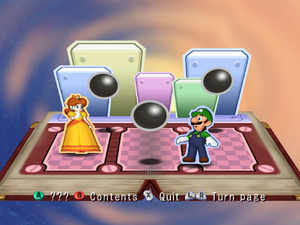 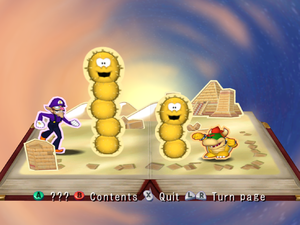 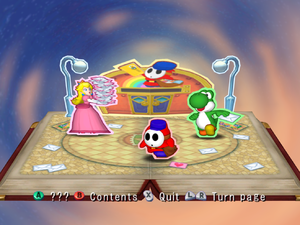 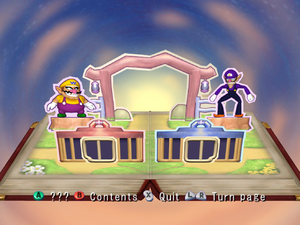 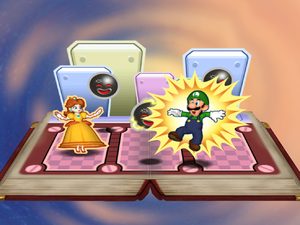 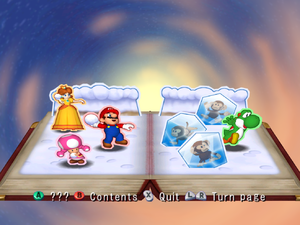 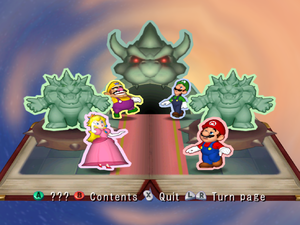 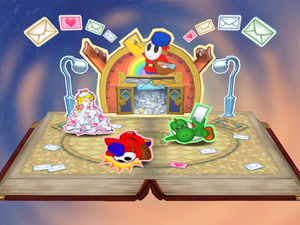 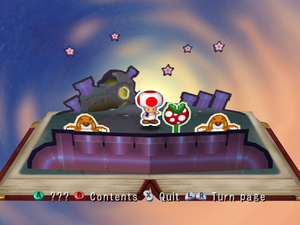 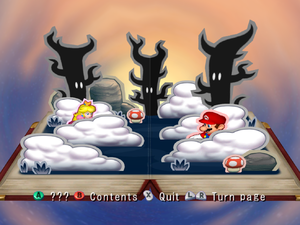 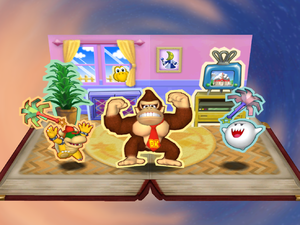 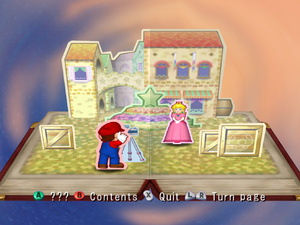 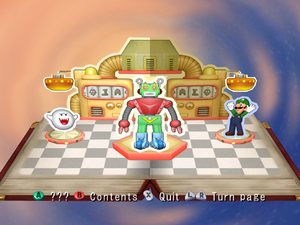 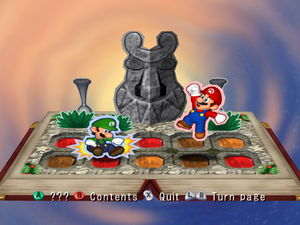 When the player opens the book, there are pictures of the playable characters playing various minigames. 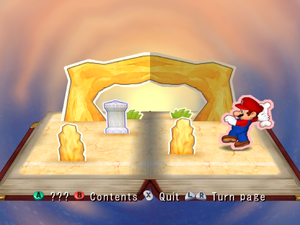 If the player presses , something happens depending on the page viewed. 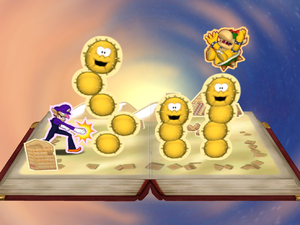 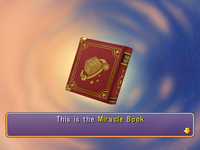 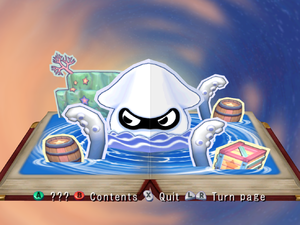 Filling the Miracle Book is also required to complete the game. 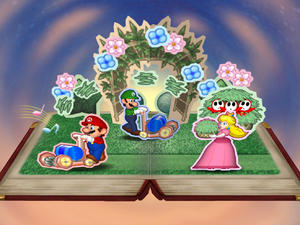 Once all the pages are collected, Brighton and Twila see how much work Mario and friends have done to stop their feud. 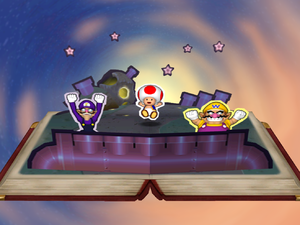 As a reward, the two make up and then send the stars scattering across the skies. 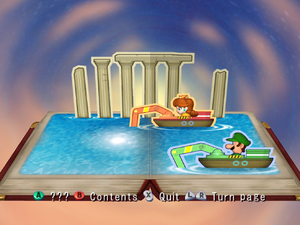 This page was last edited on April 4, 2019, at 21:48.